A copy of NNPC’s monthly financial and operations management report obtained exclusively by THISDAY yesterday showed that the corporation’s N273.74 million operating profit in May 2016 as against its operating loss of N19.43 billion in April was attributed to improved cost efficiency at the corporate headquarters of NNPC and performance by the Petroleum Products Marketing Company (PPMC). On NNPC’s exploration and production subsidiary, NPDC, the report showed that NPDC’s PTD (period-to-date – May 2015 to April 2016) cumulative production from all fields amounted to 33,028,954 barrels of crude oil which translated to an average daily production of 90,243 barrels. In the area of national gas production, NNPC in the report stated that a total of 223.63 billion standard cubic feet (bcf) of natural gas was produced in the month of May 2016 translating to an average daily production of 7.21billion standard cubic feet per day (bscfd). For the period June 2015 to May 2016, a total of 2,836.01bcf of gas was produced, representing an average daily production of 7,749.70 mmscfd during the period. Production from Joint Ventures (JVs), Production Sharing Contracts (PSC) and NPDC contributed about 69.97%, 21.71% and 8.32% respectively to the total national gas production, the report showed. On NNPC’s refinery operations, the report said that total crude processed by the three refineries – Kaduna, Port Harcourt and Warri – for the month of May 2016 was 301,604MT (2,211,361 bbls), which translated to a combined yield efficiency of 83.47% compared to crude processed in April 2016 of 351,698MT (2,578,650 bbls) with combined yield efficiency of 89.70%. SPDC declared the force majeure on May 10, following a leak that led to the closure of the Nembe Creek Trunk Line (NCTL) by Aiteo Eastern E & P Company Limited. The Aiteo-operated NCTL and the Trans Niger Pipeline (TNP) are the two main pipelines in the Eastern Niger Delta that transport crude oil produced by Shell, Aiteo and third parties in the eastern operations to the Bonny export terminal in Rivers State. The resumption of Bonny Light exports came just as the Niger Delta Avengers, the militant group that has claimed responsibility for recent attacks on oil and gas installations, continued its unrelenting destruction of industry facilities in the oil-rich region, when it blasted three more manifolds operated by US oil giant, Chevron, in Delta State on Wednesday night. Shell said in a statement yesterday that the force majeure had been lifted following the restoration of production to the Bonny export terminal. According to the statement, the force majeure was lifted from 09:00 a.m. Nigerian time (0800 GMT) on Thursday (yesterday). Despite the gradual recovery of Nigeria’s oil production, two other Nigerian crude grades – Forcados and Brass River – remain shut-in. Eni, the Italian parent of Nigerian Agip Oil Company (NAOC) on May 22, 2016 declared force majeure on oil exports from the Brass Oil export terminal off Bayelsa shoreline, following militant attacks on the Ogbaimbiri-Tebidaba pipeline. Shell on February 21, 2016 declared force majeure on Forcados liftings after the disruption in production caused by a spill on the 48-inch Forcados terminal subsea export pipeline, which was bombed by the Avengers. The force majeure effectively shut-in 300,000 barrels per day from Shell and third party companies in the Western Niger Delta that rely on the Forcados pipeline for shipment of crude to the Forcados export terminal. 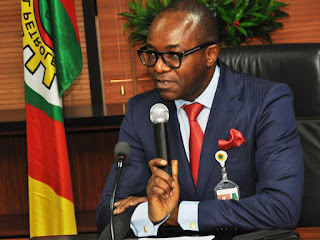 Despite these production shortages, Nigeria’s crude exports have been on track to rise to 2.2 million barrels per day in August from the current 1.9 million barrels per day, according to the Minister of State for Petroleum, Dr. Ibe Kachikwu, even as the Avengers has resumed hostilities before the expiration of a 30-day ceasefire. The Aiteo Group acquired a 45 per cent stake in the 97-kilometre NCTL and the prolific Oil Mining lease (OML) 29 from Shell and other joint venture partners – Total and Agip – in 2014. Aiteo, last May, confirmed a leak on the pipeline and sent out contractors to the site for repairs after the area had been isolated. About 75,000-78,000 barrels per day of Aiteo’s crude oil was affected by the closure, while Shell’s volume and other third party crude affected by the shut-in could not be ascertained. THISDAY gathered that the pipeline has capacity to move 150,000 barrels per day but about 600,000 barrels of liquids can be evacuated at the Cawthorne Channel-end of the facility. But an air of uncertainty continued to pervade the Niger Delta as the Avengers continued its wave of attacks, when it bombed Chevron’s manifolds on Wednesday night in Delta State, the third of such attacks on the company’s installations in the region. The implacable group, which made the attack known on its website late Wednesday, said it blew up RMP 22, 23 and 24 all in Warri. A remote manifold platform (RMP) is where small oil or gas pipelines converge before connecting to a larger storage hub. The group, which also wished the Muslim faithful “Happy Eid Mubarak”, said it was closing all its social network accounts due to the activities of scammers and impersonators attributing some of the bombings in the region to it. The Avengers also denied responsibility for the alleged attack on the Nigerian National Petroleum Corporation (NNPC) pipeline at Eleme in Rivers State last Saturday and encouraged other groups carrying out similar acts of sabotage to continue in the act, but must be courageous enough to claim responsibility instead of accusing the Avengers falsely. The group cautioned the media to beware of the imposters and follow its activities only on its website. “This Facebook account/page is an impostor page that was open by a fraudster to deceive the general public. “We are warning any group that wants to do anything, to go about their activities without tagging us. Instead do your activities and claim responsibility. “The NNPC pipeline blown up in Eleme that was posted by this Facebook account yesterday wasn’t carried out by Niger Delta Avengers. “We are calling on all national dailies to take note. Niger Delta Avengers is not out to mislead the public. “As a result, we are closing all our social network accounts and will be using our website to pass information to the general public,” it said. The militant group resumed bombing of the country’s oil economy last weekend, attacking oil and gas facilities belonging to NPDC, NNPC and Chevron at different locations in Warri. The resumption of hostilities, according to a security source, was in response to the arrest of two key members of the militant group by the Department of State Security (DSS). One of the arrested suspects identified as “Sensor” was said to be a very close aide to the former militant leader, Chief Government Ekpemupolo, alias Tompolo, who is suspected to be the arrowhead of the spate of bombings of oil facilities. Tompolo, who is now a fugitive of the law, is being prosecuted by the federal government for alleged corruption.